Patch 1.06 will be our last update for 2016. 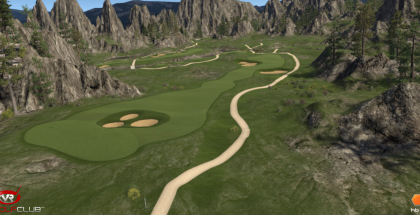 Our team has been working very hard to bring some exciting new features to The Golf Club VR over the past couple months and it’s time for a break. In the New Year we will bring the patches back mid-January with a couple new and exciting features that we think everyone will be happy to get their hands on. We want to thank everyone for the amazing support and feedback that has been provided so far. We look forward to hearing your thoughts on the latest patch and with what’s to come in 2017. •Putt preview can no longer be sent from ghost balls. •The contact for putting feedback has been fixed. •Ghost ball name tags will no longer obstruct your view on the green. •Fixed an issue with player score not showing up at the end of a round against ghost balls. Live Ghost Balls have been added with this patch! You are now able to join any of your Steam friends during their round on any of the available courses. When selecting a course and choosing Rivals there is now a Friends (Live) filter that allows you to join any in-progress rounds. We encourage everyone to reach out in the community and create some networks of folks to play with. 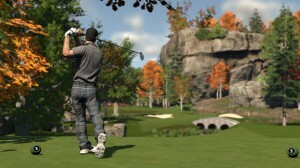 There are a lot of active players out there that I’m sure would enjoy a round with you or a group. We have added a range finder to the Vive controller that allows you to zoom in on the terrain around you. 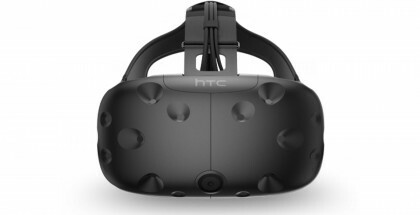 To use this feature simply lift the Vive controller to your eye and look through the top opening of the controller. This will magnify everything in this viewport. There is a reticle to help pick your target and you can lock the information displayed at any point by pulling the trigger. There is also an option to increase the magnification by pressing up on the touch-pad while looking through the viewport. This feature can come in handy when trying to locate the pin from a distance or determine how far away you are from a hazard. 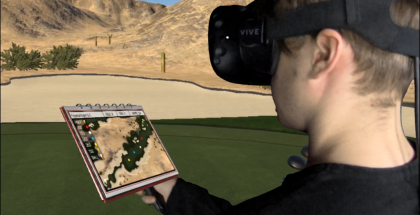 With the increased need for gameplay settings we have adjusted the UI to allow for more options to help you customize the way you play The Golf Club VR. 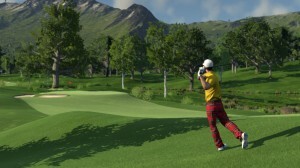 In addition to the new look we have added options to play without a stroke limit and to turn on mulligans. 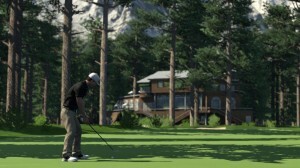 When playing with mulligans you are able to retake shots from its original location as often as you like without penalty. If you take a shot and don’t like the result, simple grab a ball from your golf bag and drop it in the circle drop zone. Note that as soon as a mulligan is played your scorecard will be removed from the server but you can still play live with your friends.